The first game between the local «Caspian» and «Astana» took place on November 12. The teams find themselves at the different poles of the tournament table, and despite the fact that «Caspian» was playing at home, their chances in this match were tending to zero. While the hosts came to understanding whom they were playing against, they were already losing 13: 0. And yet they found the right strategy, and until the end of the quarter, they demonstrated not a bad defense to the famous opponents. If in the first three minutes of play time they lost thirteen points, for the remaining seven minutes of a quarter, «Astana» managed to gain only two points, and won the first part of the match with a margin of fifteen points. In the second part of the game, the capital team no longer gave so many chances to the hosts and took the lead of the game. Only in the middle of the quarter, «Caspian» managed to score six points, which remained the only gain for them in this quarter. 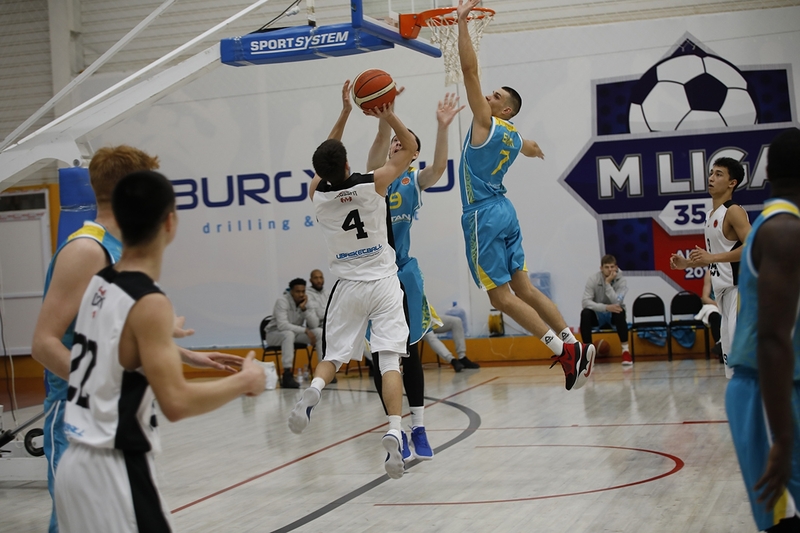 “Astana”, in their turn, scored twenty points more than their rivals and was far ahead of them after the first half of the game with a score of 17:52. The third quarter unexpectedly turned out to be more equal than the previous two. “Caspian” began to play more confidently in the attack, and in the end scored more points. But of course, they did not succeed in surpassing their rivals. Astana continued to hit the basket in attacks and controlled the game. As a result, for the third quarter, Caspian scored almost as many points as in the previous two, and the current champions added another seven points to their lead and passed a threshold of over forty points difference in the score, or rather, forty-two. In the final quarter, “Astana” again actively played both in the defense and in the attack. By the end of the match, “Caspian” not easily reached the forty-point mark, and “Astana” again reached one hundred points and gained a crushing victory — 40:102. Tomorrow, on November 13 the second game of “Caspian” and “Astana” will take place in Aktau. 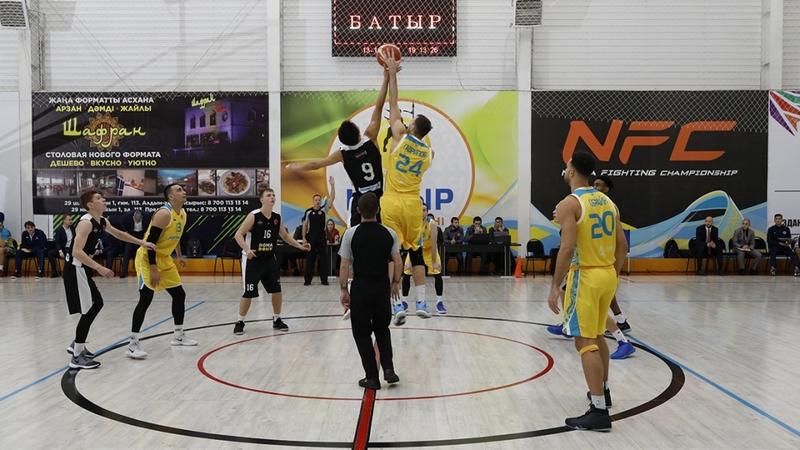 The second game between “Caspian” and “Astana”, which took place the next day on November 3, also did not bring anything good for the Aktau team, and “Astana” grabbed its tenth victory in the season. The beginning of the match already foreshadowed the exact course of events. The capital team confidently began the first quarter and predictably seized control in the game. Their advantage went up by leaps and bounds. “Caspian” with great difficulty scored points in the first period and so far was able to score only four. “Astana” went into the gap on twenty-one points for ten minutes. In the second quarter, the hosts scored points much more spiritedly, but this did not help them to outplay the opponent. “Astana” continued to increase its advantage, which to a large break reached thirty-seven points — 17:54. After a fifteen-minute break, the guests didn’t slow down much, and the first two minutes were beneficial for «Caspian». But “Astana” very quickly returned in the game, regained the initiative and completely outplayed the rivals. In the remaining time of the third period, no dramatic changes were anticipated, and it continued to proceed under the rule of “Astana”. Before the final quarter, the hosts had already lost forty-six points and another defeat was in the air. “Astana” held a very tough game during the last ten minutes; it is needless to say that they left no chances to the hosts, «Caspian» team played the fourth quarter as best as they possibly could and again suffered a crushing defeat. The capital team repeated yesterday's result of one hundred and two points, only today it missed even less — 35: 102. Astana has ten wins out of ten this season, and «Caspian» suffers the eighth defeat in a row. On November 5, «Astana» team will go to Latvia, where they will meet with the Riga basketball club «VEF» in the framework of the regular VTB United League championship. «Astana» will hold the next series of matches of the Kazakhstan Championship among men's teams of the National League « at home, on November 21 and 22, basketball players of the northern capital will receive guests from the southern one — the team of «Almaty Legion» basketball club.